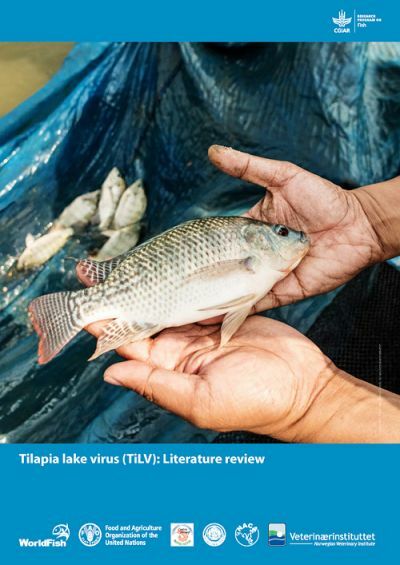 TiLV has recently been noted as an important infectious agent that may threaten the worldwide tilapia industry. According to the Food and Agriculture Organization of the United Nations (FAO), global production of tilapia is estimated at 6.4 million metric tons (MMT), with the top three producers in 2015 being the People's Republic of China (1.78 MMT), Indonesia (1.12 MMT) and Egypt (0.88 MMT) (FAO 2017a). Bangladesh, Vietnam and the Philippines are other leading producers (FAO 2017a). At the time of writing, TiLV has been reported to be present on three continents: Asia, Africa and South America. With increased screening, the list of affected countries is likely to increase in the near future. Although the virus does not represent any direct risk to human health, its known distribution gives significant cause for concern regarding the potential impacts on livelihoods and food security. As a result, international organisations have released information to heighten awareness of the current situation. At time of writing, two countries (Israel and Taiwan Province of China) have made an OIE notification of TiLV as an emerging disease to the OIE. 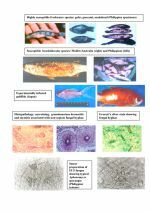 The disease associated with TiLV infection is currently known under two different names, tilapia lake virus disease (TiLVD) as in the OIE technical disease card (OIE 2017) and syncytical hepatitis of tilapia (SHT) as first referred to by Ferguson et al. (2014). This report summarises the information on TiLV currently available from scientific publications. These include the aetiological agent, host factors, disease patterns and risk factors, pathology and diagnostic tests, and socio economic impact. The main recommendations for knowledge generation and collaboration have been summarised in the final section of this report.